Stuttgart. The time: seven minutes, 18 seconds on the Nürburgring-Nordschleife. The power: 620 hp. The weight: 1,370 kilograms or 3,021 lb in road trim with all fluids on board. 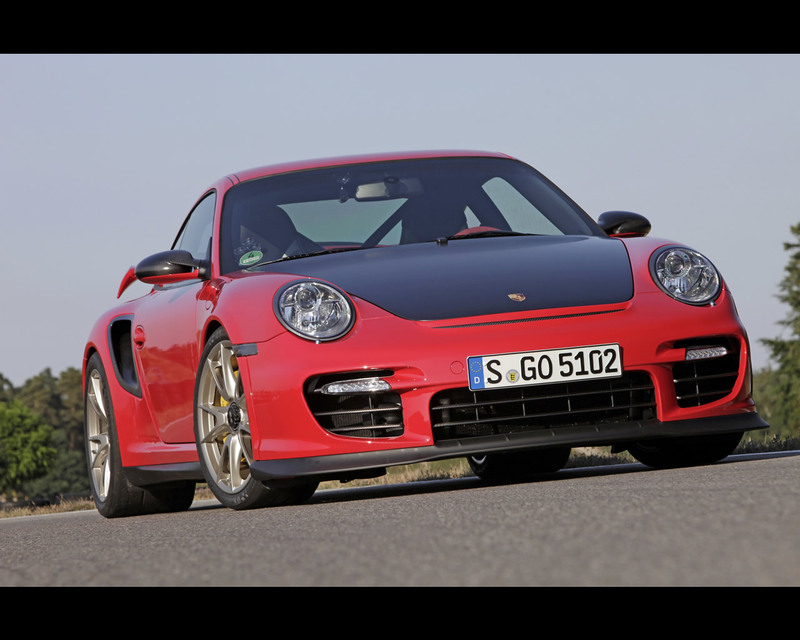 The car: the new Porsche 911 GT2 RS. 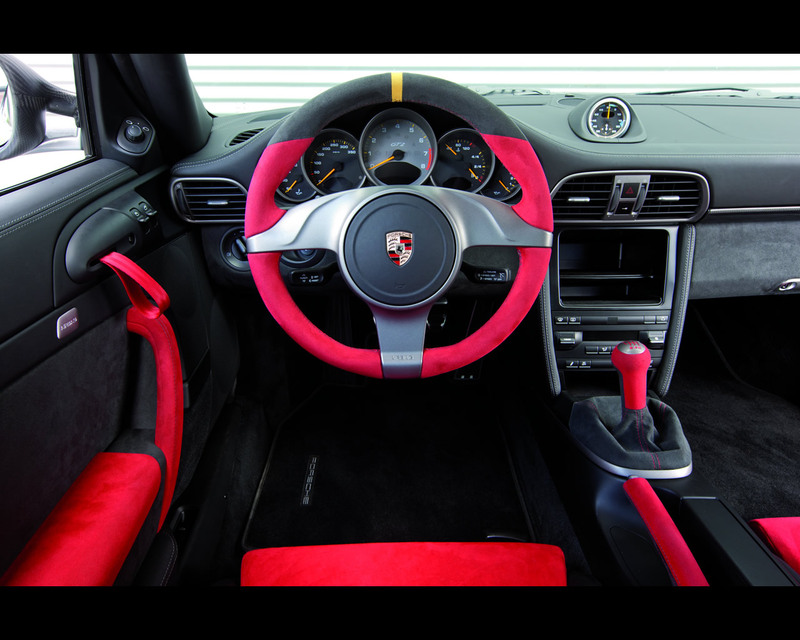 The future top GT model marking the absolute climax in the 911 range is one of the fastest and most powerful road-going sports car ever built in the history of Dr. Ing. h.c. F. Porsche AG, Stuttgart. 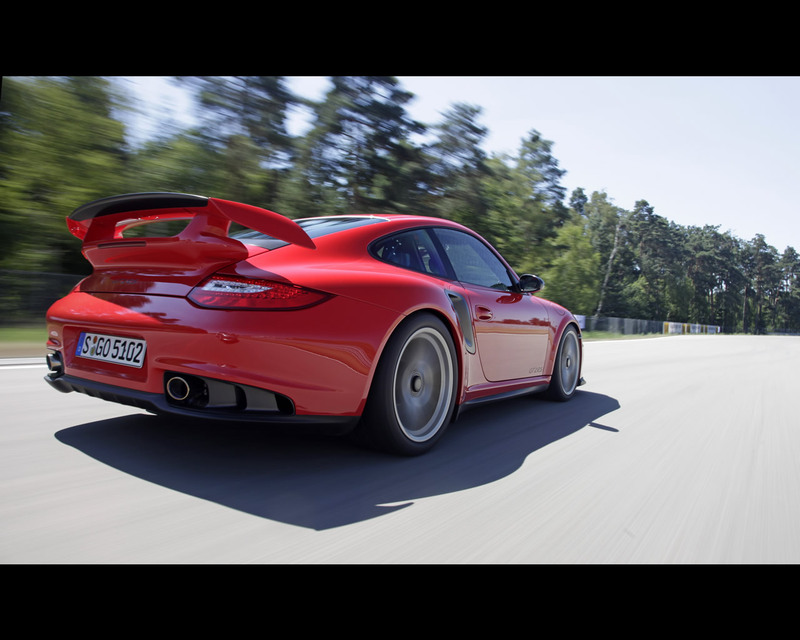 With power up by 90 hp and weight down by 70 kilograms or 154 lb in comparison with the 911 GT2, the new 911 GT2 RS has a power-to-weight ratio of just 2.21 kilos or 4.9 lb per horsepower, by far one of the best power/weight ratio in its class. 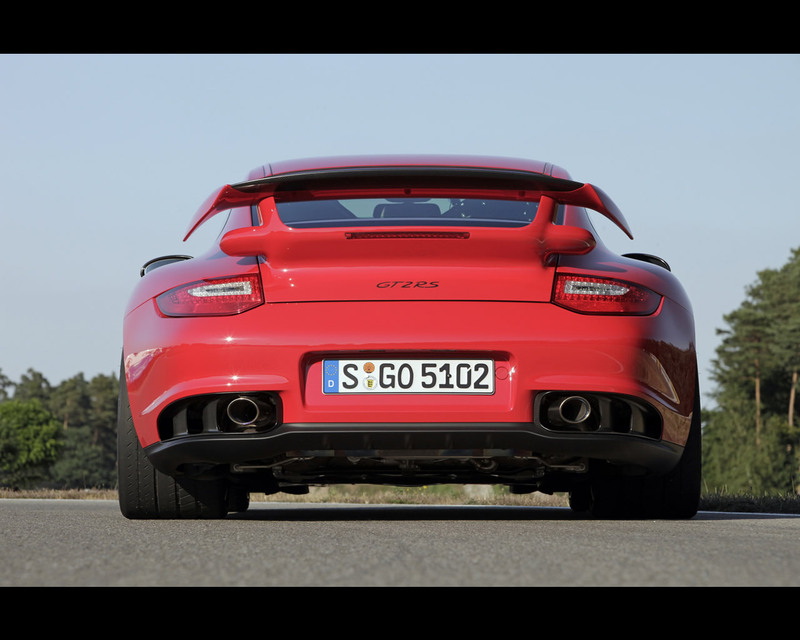 Obviously, these are the ideal ingredients for an ultra-high-performance sports car with supreme agility, truly blistering performance on the road, and of course exemplary Porsche Intelligent Performance. 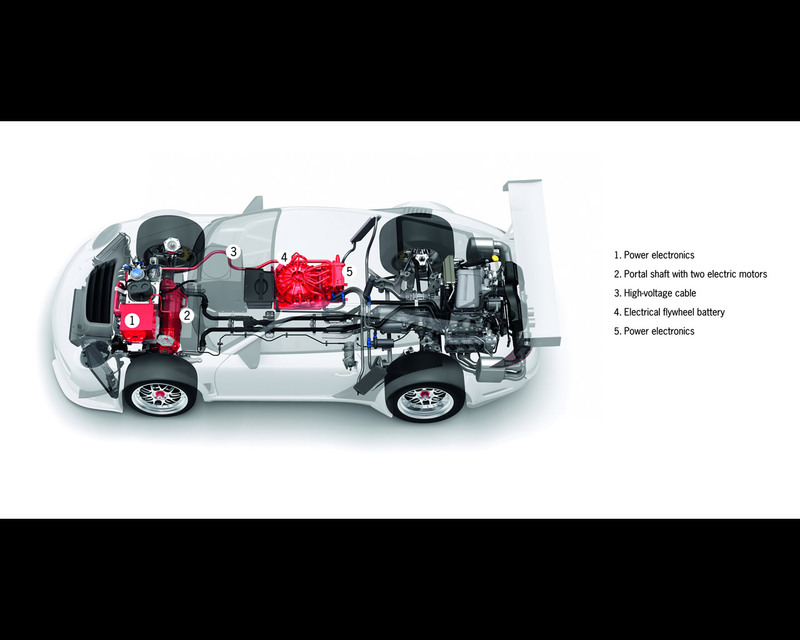 For despite this extra power and performance, fuel consumption and CO2 emissions versus the 911 GT2 are down by approximately 5 per cent to 11.9 ltr/100 km (equal to 23.7 mpg imp) and 284 g/km. 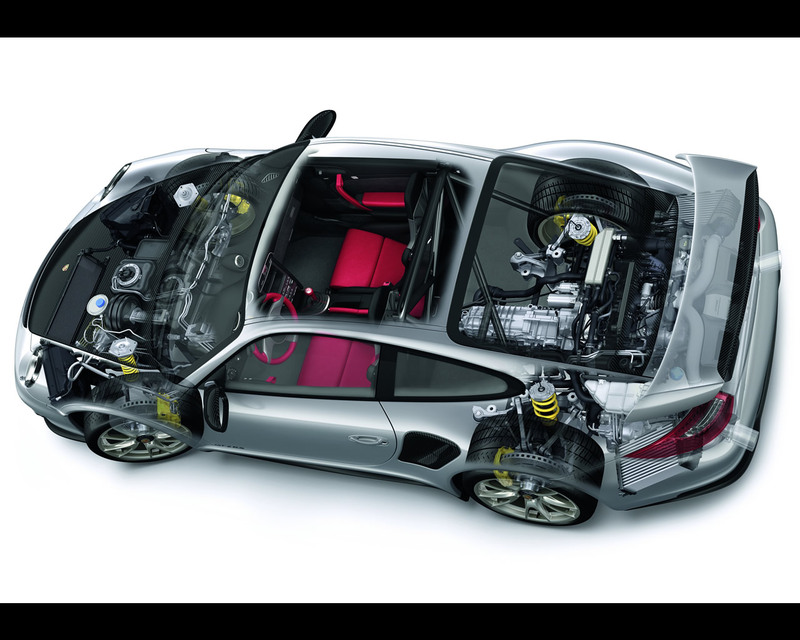 The 3.6 litre six-cylinder boxer engine boosted by two turbochargers with variable tur-bine geometry exclusive to Porsche in its combination with a gasoline engine drives the rear wheels via a six-speed manual gearbox. 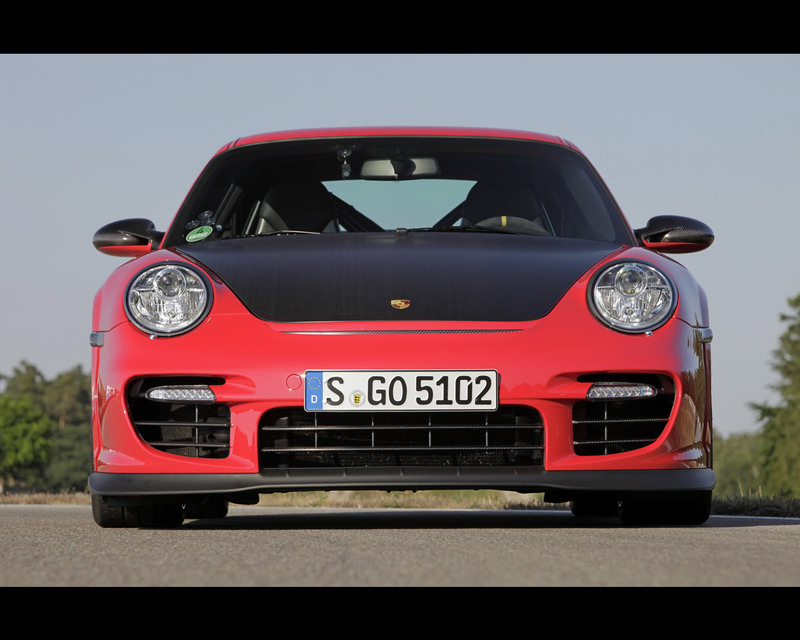 Developed especially for the 911 GT2 RS, sports tyres measuring 325/30 ZR 19 convert this massive power into equally massive performance and acceleration on the road: 0 to 100 km/h in 3.5 seconds, 0 to 200 km/h in just 9.8 seconds, and 0 to 300 km/h in 28.9 seconds. Top speed is 330 km/h. In its looks the new 911 GT2 RS stands out clearly from the 911 GT2 above all through the lavish use of carbon-fibre-reinforced (CFR) components in matt-black surface finish, even wider wheels and flared wheel arches at the front, new 911 GT2 light-alloy wheels with central locking, as well as ”GT2 RS“ model designations on the doors and rear lid. The upgraded front spoiler lip and the rear spoiler lip made of CFR and now 10 millimetres or almost 0.4 inches higher, again in surface carbon fin-ish, ensure the right aerodynamic precision as well as extra downforce. 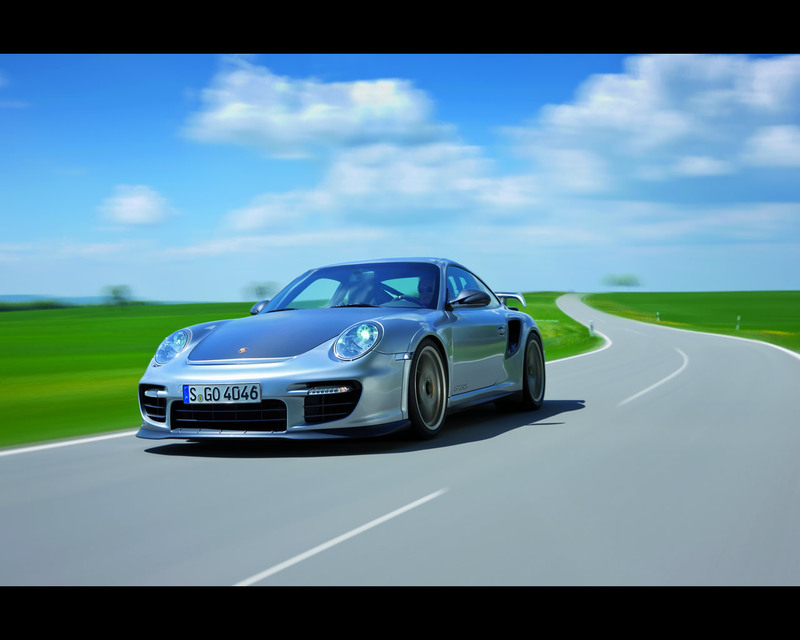 Limited to just 500 units, the 911 GT2 RS will be available in Europe from September 2010, in the USA from October 2010. The Euro base price is 199,500.- Euro. Includ-ing VAT and national specifications/equipment the new 911 GT2 RS will retail in Germany at a price of 237,578 Euro.